The way social media works – placing all users on an equal footing – means reduced control for communicators and leaders. How do you handle this and how do you build your organisation using social media? Here Jasmine Elnadeem gives some helpful tips to executives and managers trying to decipher the social media code. Many organisations have started to understand the benefits of social media and are beginning to understand the new opportunities they present to engage employees, encourage conversation and promote collaboration. Collaborative and conversational technologies are driving these changes both in the external market place and internal communications systems. Whilst many companies are starting to see the power of this trend, the value of its connections, and the wealth of information available through access to new ideas and perspectives. There are still some unique challenges involved in introducing social media tools for internal organisational communication. From the outset, a different mindset and a new strategic approach should underpin any efforts to integrate social media with the existing communication infrastructure. From my experience many managers are still struggling with whether to allow or ban the use of social networks while at work. Many traditional companies have chosen to ban and block employees from accessing social networking sites, others have granted access and monitor the activity. The common fear is that employees will use that time unproductively or worse. Make sure you understand the difference between traditional and social media. 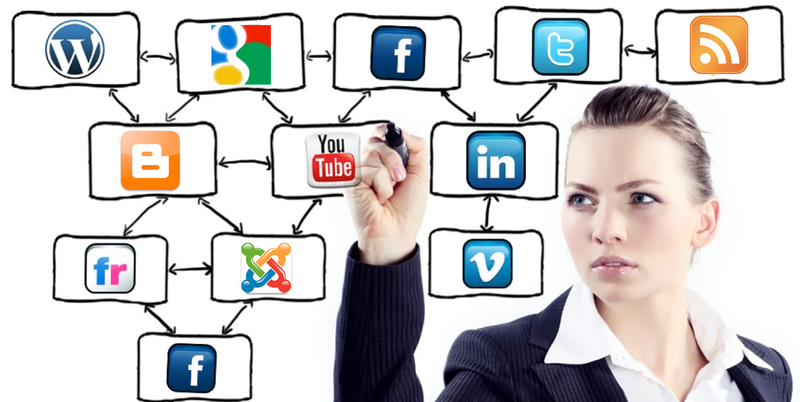 Social media tools encourage a way of communicating that is fundamentally different to traditional methods of communication. Without a clear grasp of these differences, it’s unlikely organisations will ever really harness their potential. The way social media works – placing all users on an equal footing – means reduced control for communicators and leaders. Employees become equal partners in the communication process and are invited to take part in a conversation and share information, rather than have information pushed at them. This tends to frighten middle management. Find influencers from within both the formal and informal structures to be part of the initial trials. These are the people who help form the organisational culture of decision making and are invaluable allies so take the time to explain to them what both they as individuals and the organisation as a whole can gain through social media and the positive change it can generate. You can also encourage younger members of your organisation to get involved, managers will always see younger people as more in tune with technology so gaining the support of them will also help to give a fresh and exciting feel to your idea. A “reverse mentoring” program can be greatly beneficial here. Younger staff members mentor others in the new tools and at the same gain experience and insight in other areas of the business. Social media may be all about encouraging a more open, transparent and democratic way of communicating internally. But this doesn’t mean that organisations shouldn’t lay down clear guidelines about the appropriate use of social media within the business.However informal, there’s no reason why communication taking place via a blog or a wiki should stray from the usual behaviors expected in any workplace interaction, such as professionalism or respect. I could also say that you can get the attention of the organisation’s mangers by showing case studies about how other similar or competing peer organisations are using Social Media. Encourage the sharing of case studies and give recognition rewards to those who present them. Being personally involved in the online informational flow will reinforce your approach. You can always use your own social media accounts to promote the organisation and encourage others to start to grow their own following online through your network. You can then use the progress some mangers as evidence of the sort of success that can be achieved. But remember to show case success stories without being judgmental about those less involved. Peer recognition is a very effective driving force. It’s that urge to want to connect with other people, to belong to the group, to have that strong sense of ownership and responsibility, to stand out and being recognized for what we do. We tend to talk more about the media aspect of social media, but it is the social aspect that is powerful, different and so effective. The human element is key when dealing with social media. “There is great value in using a human voice when communicating and developing good relationships with the public,” Hyojung Park, a doctoral candidate at the Missouri School of Journalism, said. Perceptions of relationships with an organisation seem to be significantly more favorable when the organization’s social networking page has a human presence rather than an organizational presence. Levels of trust, commitment, and satisfaction from users all appear to be positively affected by the use of the human voice in social media. Be a decent person first, that will then become the public’s perception of your organization. That process will take time and people are often set in their ways so try to take this into consideration. Don’t enforce from above. Allow for organic growth. But help that growth along by support, both personal and technical. Be patient and open for all kinds of questions and make sure you have enough research to back up your points. Previous In love with a sweet frog – can you really blame me? !